"Look back and thank God. God opens doors no person can close." I found this poem amongst all the papers I was tidying up the other day - it made me stop and think for a moment. God has been so good to us - we need to trust more in his goodness. But even there, if you seek God, your God, you’ll be able to find him if you’re serious, looking for him with your whole heart and soul. When troubles come and all these awful things happen to you, in future days you will come back to God, your God, and listen obediently to what he says. God, your God, is above all a compassionate God. In the end he will not abandon you, he won’t bring you to ruin, he won’t forget the covenant with your ancestors which he swore to them. I was doing a little tidying up this evening and I found an old piece of paper in the draw. On it there were some hand written quotes, that I had obviously taken down during a session or conference many years ago. One of these really spoke to me in a loud voice. 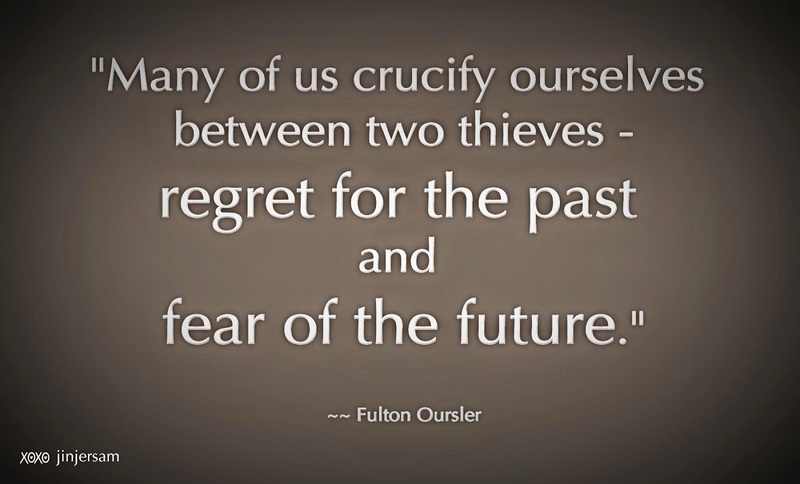 Don't let your regrets of yesterday make you reluctant to dream of tomorrow. Remember that God is the God of yesterday, today and tomorrow. It was with sadness that we heard the news of the death of another sports star, Mbulaeni Mulaudzi. He was the first black South African to be ranked number one in the world and he won a silver medal at the Olympic games in Athens 2004. 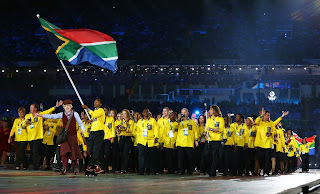 He was also our official flag bearer at that same Olympics. May he rest in peace. In times of war soldiers took great pride in carrying the flag of their nation. Whenever a flag bearer was shot down, someone else would pick up the flag and carry it further into the battle. So now that a 'flag bearer' of our nation has gone down, we hope and pray that others will step forward and carry the pride of our nation into the future. The same thing should also apply in our Christian faith. When a flag bearer of faith goes down or passes away, we should be willing to pick up the flag of Jesus and to carry it into the future. There will come a time when we too will pass away, but then we trust that someone else will carry the name of Jesus into the next part of the battle. 2 Corinthians 5:20 - "We are therefore Christ’s ambassadors, as though God were making his appeal through us." They were written by a people, living in captivity, longing for the days of old - longing for their home. The Babylonians taunted the Israelites urging them to sing their songs of joy, but the people of Israel couldn't bring themselves to sing. Sometimes we find ourselves sitting at our own river of Babylon, longing for the former days. Days when things seemed peaceful and in order; days when we had our loved ones with us; days when when had songs to sing. If you happen to be sitting at your river of Babylon today, crying your tears of pain, please remember that God knows your pain - God has not abandoned you. It is in the midst of trial that God's presence guides us through. Please say a prayer for our family as we sit by our river of Babylon today - the 28th of October marks 2 years since Kim's brother, Barry tragically died. Be the One, not the Nine! Luke tells a story of how 10 lepers approached Jesus begging to be healed. Jesus had mercy on them and they were all healed. We would assume that all of them were over the moon to be 'clean' again and able to return to their families, yet only one of them bother to say 'Thank You' to Jesus. The 9 men were happy to ask for help, but as soon as they were healed, they forgot all about Jesus. As I reflect on our society I note that we are very quick to ask for things, and even quicker to complain about people, but we are very slow to say Thank You. Can I urge us to take the initiative and to say thanks to people who have blessed us. I also invite us to offer our thanks to God for all that he has done for us. 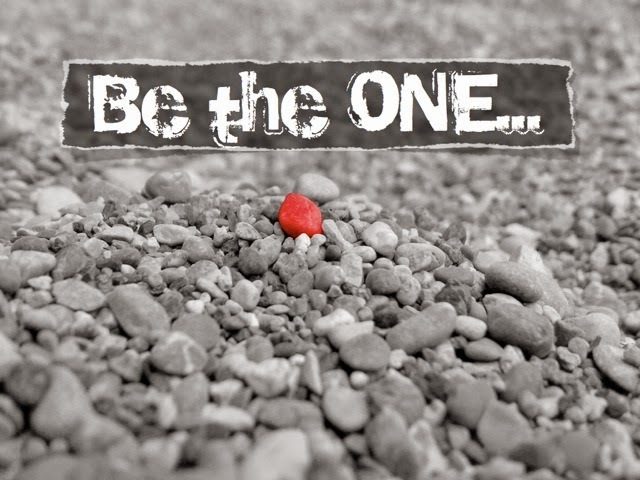 Be the One - not the Nine! and final act of worship. What would you be willing to do for God? ....walk a thousand weary roads? Our worship is our response to what God has already done for us. A thousands weary roads is nothing compared to what Jesus did for us? I just love Father Zossima's commentary on love in this chapter. He reminds me that God's love is way beyond my expectations and that though we have a basic understanding of love, there is always so much more! With Jesus there is always so much more! May Christ's love compel us to love with all that we have. If you are in need of God's great love today, why don't you pause for a minute and invite the Spirit of God to wash over you, to fill you with the riches of his presence. Nehemiah 1:5 - "Then I said: “Lord, the God of heaven, the great and awesome God, who keeps his covenant of love with those who love him and keep his commandments." ....yes, the drill slipped and I managed to put a hole into the side of my foot. Needless to say there was a lot of blood and I had to rush myself off to the doctor, feeling quite foolish and sore! A few stitches and injections later I returned home and have now vowed to buy a vice! Here is my reflection on this incident. Sometimes we need someone to hold us tightly and to protect us. 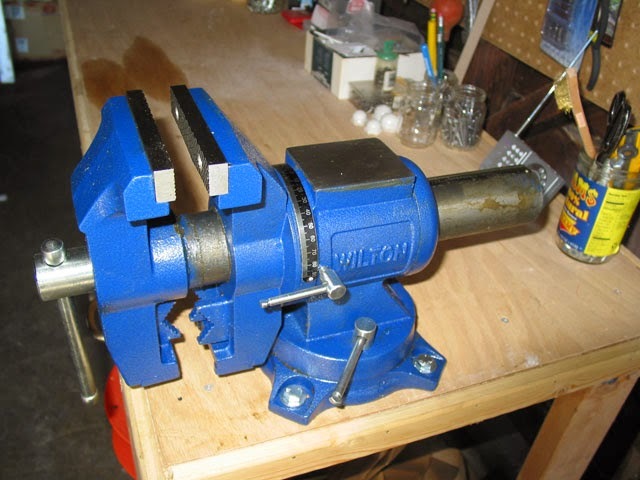 A vice does a good job of keeping wood firm and secure, so that you can avoid injuring yourself, while you work on the wood. There are moments in our lives, when we need to rest securely in the loving arms of the Lord, so that he can hold us tightly. His reassuring presence keeps us from all harm and reminds us that he is with us at all times. 1 Samuel 25:29 - "Even though someone is pursuing you to take your life, the life of my lord will be bound securely in the bundle of the living by the Lord your God." Zechariah 10:12 - "I will strengthen them in the Lord and in his name they will live securely,” declares the Lord." No Green Arrow = CHAOS! Our city of Maritzburg is not know for her major traffic jams. Usually if you wait in traffic for 10 minutes that is considered to be a long delay. Coming to work this morning seemed to be quite different. It looked like there was a lot of chaos on the roads and I wondered if there had been an accident or perhaps a problem with a traffic light. "We need the green arrow to direct us. When there is no arrow - there is chaos! Surely, God is like that green arrow in many ways. God points us in the right direction. God shows us the way to go, and at the right time and when we obey his direction, there is order in our lives." 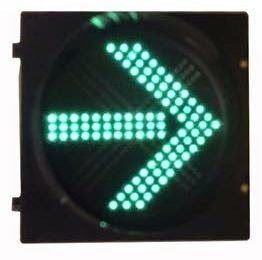 Are you perhaps missing the 'green arrow' in your life today? Why not ask the Lord to be the centre of your life again and to guide you into his truth? God is wanting to bring order into our lives, not chaos. Joshua 3:4 - "Then you will know which way to go, since you have never been this way before." Proverbs 1:5 - "...let the wise listen and add to their learning, and let the discerning get guidance." 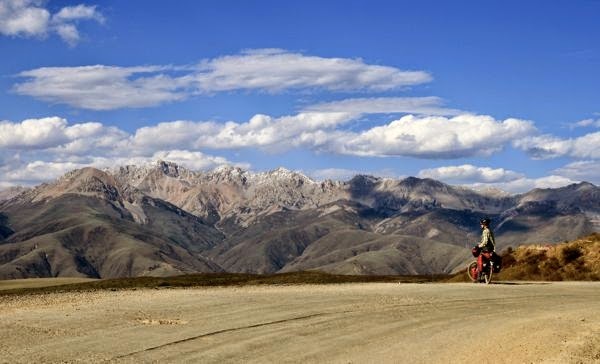 Thomas Merton - "I was not sure where I was going, and I could not see what I would do when I got [there]. But you saw further and clearer than I, and you opened the seas before my ship, whose track led me across the waters to a place I had never dreamed of, and which you were even then preparing to be my rescue and my shelter and my home." "Where there is error, truth." This prayer challenges us to instruments of truth, but this is a hard task in the midst of world that seeks to hide from the Truth. We don't like to admit that we may be wrong. We find it extremely hard to admit that we have made mistakes. This leads me to the whole Nkandla issue in South Africa. How hard would it be for the state President, Mr Jacob Zuma, just to say "Sorry!" Wouldn't it be refreshing to hear from his office, how they got it wrong and that they would do all they can to redress the 'error of their ways.' We are not asking our president to be 'perfect', because that would be hypocritical of us, but we are asking that he (and his team) accept responsibly when the truth of their error is exposed! Before you think that I am taking sides in this heated debate, let me add that my critique goes further than just our president. It goes to all political parties, all in leadership, all officials in governance, and in fact to all pastors and preachers of the Gospel too. 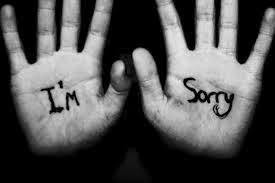 So, this leads me to the hard question for you and I - How quick are you to say that you are sorry? When you have messed up and you have been 'caught out' do you apologise and then try and make amends OR do you try and blame everyone else? Ecclesiastes 10:5 - "There is an evil I have seen under the sun, the sort of error that arises from a ruler." Mark 12:24 - "Jesus replied, “Are you not in error because you do not know the Scriptures or the power of God?" Harmony is defined as "agreement in feeling or opinion", but it can also mean "agreement in action." When St Francis of Assisi prays that 'where there is discord, we should be instruments of harmony' I am not sure he is only thinking about agreement in opinions. As far as I am concerned, there are many times when people can be struggling with discord, but can come to an agreement in action, not necessarily feeling or opinion. This is seen in the church on a regular basis - people have different opinions (which could be seen as been in conflict), yet in the end they can come to a harmonious decision - an agreement of action. Usually one has to remember the primary purpose of our mission/vision - this helps in bringing some eventual harmony. Are you facing some situations at the moment that threaten to bring conflict or discord in your life? Are you willing to allow God to use you to be an agent of 'harmony' and even unity. "Lord, make me a instrument of harmony. Let me be the one to help where there is discord." 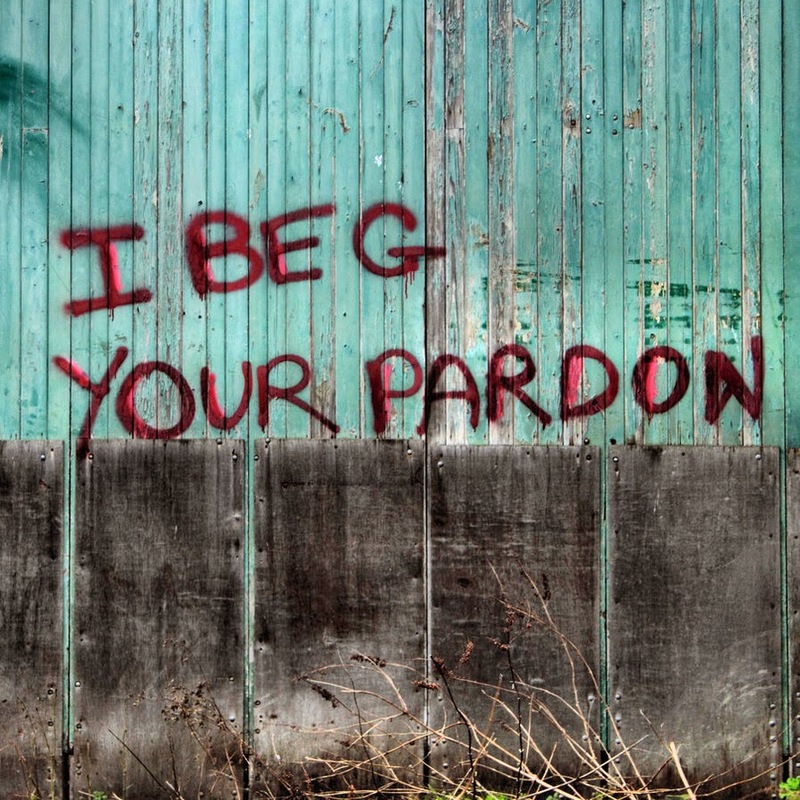 The saying, "I beg your pardon" has been around for many years, having origins in old French dialects (pardun). It is usually used in the context of offering an apology of sorts - asking for forgiveness. When I ask for your 'pardon' I am asking you to excuse my behaviour and to offer me a second chance. "Where there is injury, pardon..."
This implies that where someone has injured us, that we should seek to offer them some form of forgiveness, especially if they are remorseful for their actions. Of course this is hard to do when the person who as aggrieved you doesn't admit their mistake. 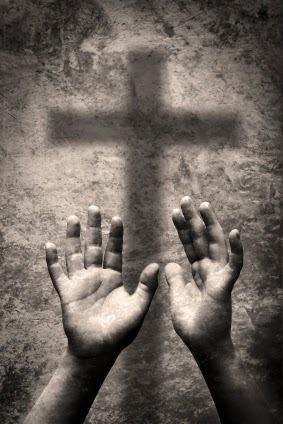 It is important to note that God offers us His unconditional pardon, even when we are ones who have caused the injury. Grace is always about God's offer of love to a world who doesn't quite deserve it. Job 7:21 - Why do you not pardon my offenses and forgive my sins? Isaiah 55:7 - Let them turn to the Lord, and he will have mercy on them, and to our God, for he will freely pardon. Micah 7:18 - Who is a God like you, who pardons sin and forgives the transgression of the remnant of his inheritance? You do not stay angry forever but delight to show mercy. The next time you catch yourself saying the words, "I beg your pardon", think about the essence of what you are saying. If you are asking how/where you can make a difference then just take a look around you and begin there. You won't have far to go in order to find people who are hurting or broken. If we could allow the love of God to fill our hearts, then we could surely make some difference to those in need. 1 John 3:11-12 - For this is the message you heard from the beginning: We should love one another. Do not be like Cain, who belonged to the evil one and murdered his brother. And why did he murder him? Because his own actions were evil and his brother’s were righteous. Sow love where you can and allow the Spirit of God to water that love into LIFE. The popular hymn 'Make me a channel of your peace' was written by Sebastian Temple, who adapted the words from the famous prayer attributed to St Francis of Assisi. It is interesting that Sebastian actually grew up in Pretoria, South Africa before moving to London. After his conversion he wrote the lyrics to the hymn. The opening line in the original prayer actually states "make me an instrument of thy peace." This is challenging line to pray, don't you think? When we pray these words we are asking God to use us as His 'channel' or 'instrument' to allow peace to flow to others. 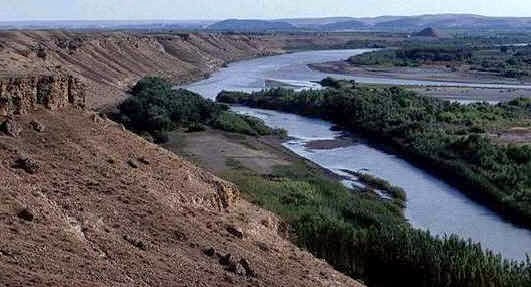 A channel facilitates the flow of water from one place to another. Being a channel of peace means allowing the peace of God to flow from us into others. That is challenging indeed. Sometimes we act more like a barrier to peace than an instrument or channel. As you reflect on your spiritual health today, are you being a channel for God? James 3:18 - Peacemakers who sow in peace reap a harvest of righteousness. The phrase, 'having a bee in your bonnet' has been around for a long time. Some people claim that it originated in Alexander Douglas's Aeneis in 1513 - that is 500 years ago. That is a really long time for a saying/idiom to carry on in circulation. Anyway, regardless of its origins the idiom speaks of being 'preoccupied or even obsessed by an idea or situation.' If someone speaks continuously on a certain issue or pet topic, then we would suggest that they have a bee in their bonnet. 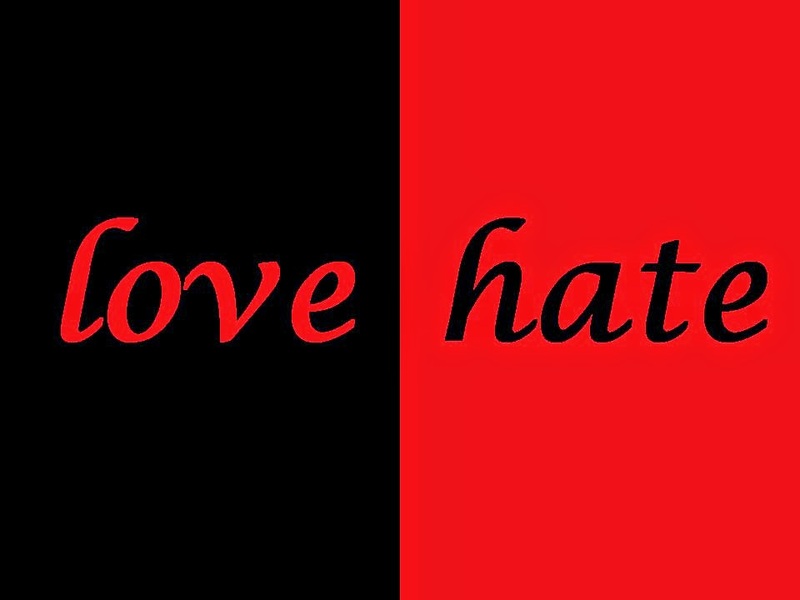 Of course, this can be taken in both a positive or negative light. We can get a 'bee in our bonnet' over things that are not necessarily important or even spiritually significant. In the end, the bee in his bonnet became a destructive force and many innocent people were killed by his actions. I know that I often get a bee in my bonnet over certain things, but I guess I want to caution us from allowing these 'preoccupations' from becoming a destructive force in our lives. 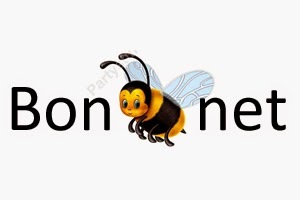 What is the Bee in your bonnet today? Is it being constructive or destructive? What are you going to do about it? 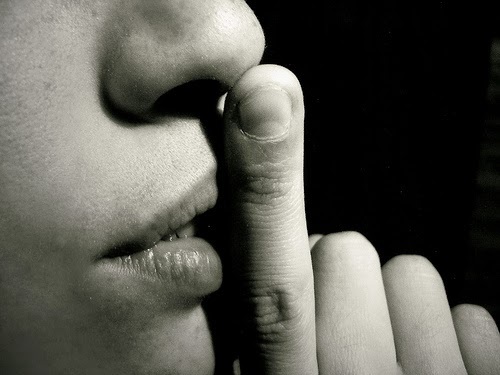 Sometimes we just need to be silent in order to listen to the voice of God. That may mean even stopping our 'shopping list' prayers and simply standing in the presence of Jesus. Luke 10:39 - "She had a sister called Mary, who sat at the Lord’s feet listening to what he said." Proverbs 18:33 - "To answer before listening— that is folly and shame." Have we got into the unhealthy habit of speaking too much? Perhaps it is time to listen to what God is saying to us? Thanks for the emails enquiring where the blogs have been - I have been on leave for a few days, so sorry about the lack of 'Living in Grace' over the past week. Spending time with Kim and the kids is such a special time and I am truly grateful to get to create memories with them all. After all, 'time' is the only commodity we can never truly pay for - we all get the same number of hours in a day, but we need to choose how to use each hour. 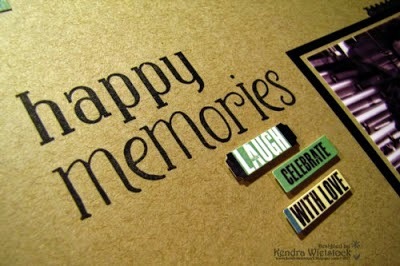 If you an opportunity to create a special memory today, then I urge you to do just that! Don't hesitate - just do it. 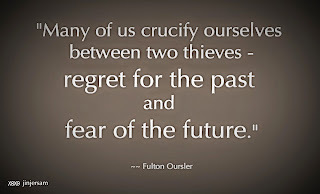 2 Peter 1:13 -"I think it is right to refresh your memory as long as I live in the tent of this body..."
Philippians 2:3 - "Do nothing out of selfish ambition or vain conceit. 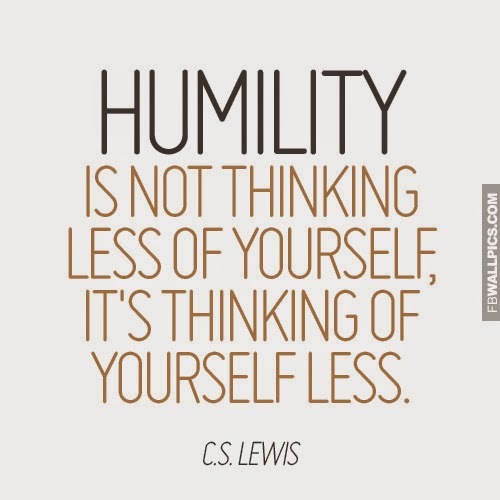 Rather, in humility value others above yourselves..."
Colossians 3:12 - "Therefore, as God’s chosen people, holy and dearly loved, clothe yourselves with compassion, kindness, humility, gentleness and patience." This morning I went to put some spread on a slice of bread and I nearly dropped the bottle. One of the kids had kindly not put the lid on properly, but after a little juggling I managed to save the spread. 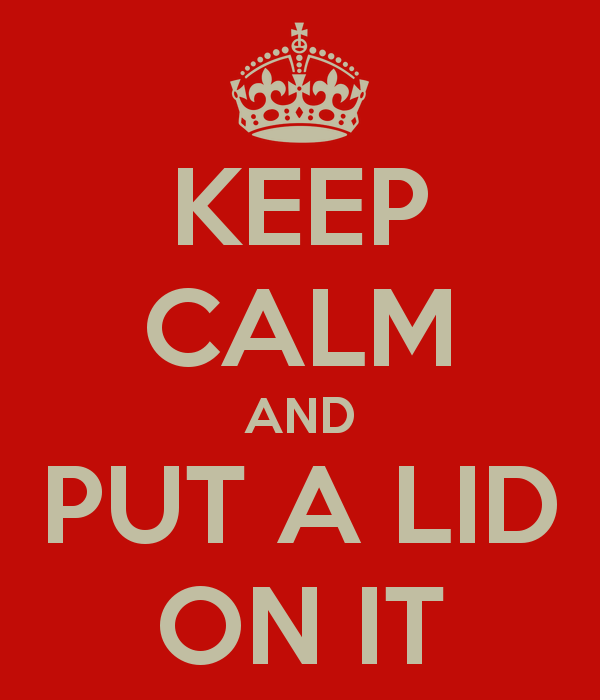 We have all used the saying "put a lid on it" before. It implies that we want someone to stop talking or just to be quiet! It can also mean that we need to suppress some gossip or to clamp down on some unsavoury things that are starting to get out of hand. I suppose one could also use it in the context of cooking. Putting a lid on a pot can help prevent things from boiling over or hot oil splashing onto your hands. If you use a Weber to braai your meat, then putting the lid on the Weber helps to keep the flames from getting out of hand. So, are there things in your life that are threatening to get out of hand? What things are potentially boiling over in your personal life? Is it time to put a lid on some of these issues and to ask God to calm the situation? Proverbs 25:28 - Like a city whose walls are broken through is a person who lacks self-control. 2 Peter 1: 5-7 - For this very reason, make every effort to add to your faith goodness; and to goodness, knowledge; and to knowledge, self-control; and to self-control, perseverance; and to perseverance, godliness; and to godliness, mutual affection; and to mutual affection, love. 'Til the love runs out, 'til the love runs out." 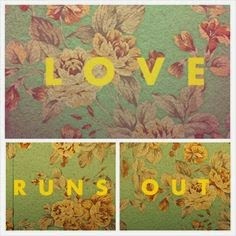 The first time I heard the song I was fascinated by the phrase "until the love runs out". It was only after I checked the lyrics of the song did I understand the context of these words. The song suggests that one person will do all they can to love their partner - and that they will keep pouring out their love until the love runs out. I am reminded that even though Jesus loved us until the end of his life, his love has never run out. God's love is unquenchable - it is never ending. God will always keep loving, even when we turn our backs on him. 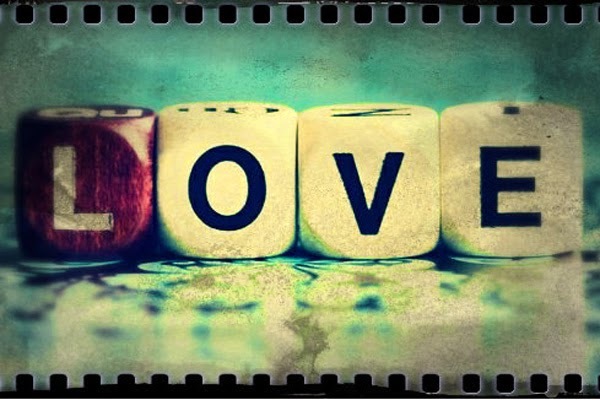 1 Corinthians 13:8 - Love never fails. Psalm 100:5 - For the Lord is good and his love endures forever; his faithfulness continues through all generations. Who are your Heroes of Faith? Trying to make a list of the influential heroes of the Christian faith is a tough exercise. If you have never thought about it, who would be in your top 5. Which five people have shaped your Christian faith in such a way that you would refer to them as Heroes of the Faith? I realise that a lot of the people I look up to are no longer alive. Many of them shaped the History of the Church and were hugely influential in their generations. Take for example, people like Tertullian, Justin Martyr, Anthony the Great, Thomas Aquinas, John Wesley, Martin Luther, Dietrich Bonhoeffer, Jim Elliot, Corrie Ten Boom, Mother Theresa .... the list goes on. Someone that I often quote is Thomas a Kempis and so undoubtedly I would call him a "hero of the faith" for me. Another one would be C.S. Lewis and even Charles Spurgeon. Wow, it is hard to narrow them down to just a handful. The Bible has a great list of some heroes of Faith. You can find it in chapter 11 of Hebrews. Take a read of that list when you get a moment. 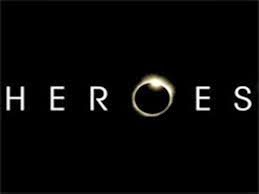 Please let me know who you consider to be a hero of the faith. I would love to hear from you. "A saving grace is a good quality or feature in a person or thing that prevents them from being completely bad or worthless. ⇒ His sense of humour is his saving grace. "For all have sinned and fall short of the glory of God, and all are justified freely by his grace through the redemption that came by Christ Jesus." Through the gift of Jesus none of us is ever worthless. He becomes our saving grace and offers us the hope we all desperately need. Thank you Jesus that you are my saving Grace. We would be lost without your mercy, love and forgiveness. Show me how I can be a 'saving grace' to others.